Beanie Boo wall stickers spotted on Amazon.com! Beanie Boo wall stickers are available on Amazon.com! 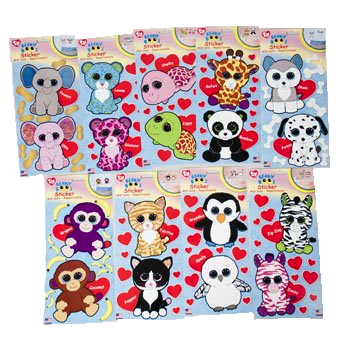 These stickers are safe for decorating bedrooms and so far have been spotted in nine different packs. Each pack contains two different Beanie Boos that are about 5 inches tall and 4 inches wide. You can find the wall stickers here on Amazon.com.